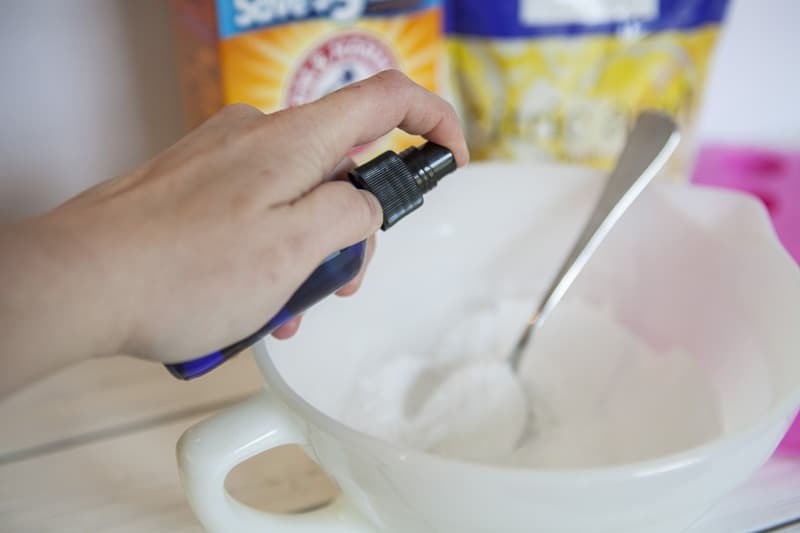 DIY toilet fizzie bombs will get your cleaning done in no time. They smell amazing and don't have any poisonous ingredients. You'll enjoy making them as well as using them. If you've never ventured into the world of toilet fizzies, you are missing out. It's no fun trying to find alternative ways to clean the toilet, right? It seems like no matter where we turn, our main options to buy toilet bowl cleaner are riddled with harsh chemicals. My nose doesn't like the smell and my mind can't help but think about all the side effects that can occur from over-the-counter conventional cleaners. We've all read the warnings on the back of the labels, right? While I may not understand all the chemicals that are in toilet bowl cleaners, one thing that I do know 100% is that I'm not okay with taking the risk of ingesting harmful chemicals. 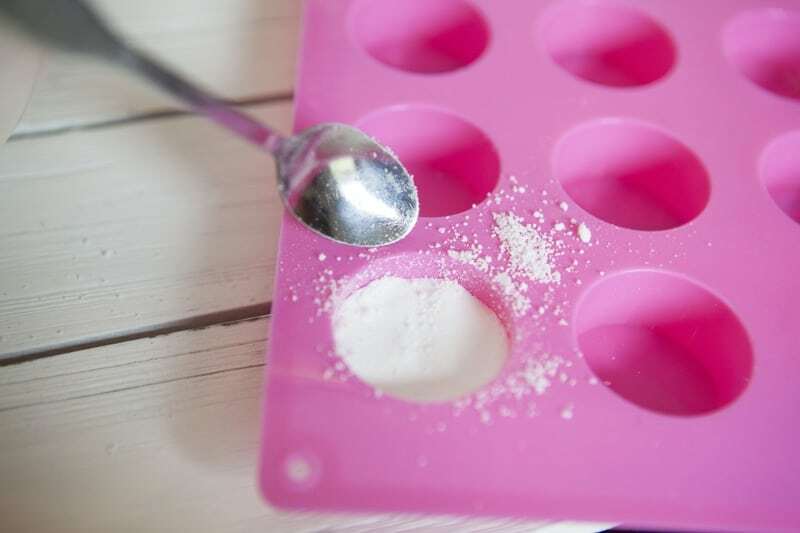 Even breathing in the residual chemicals that could be floating in the air present their own set of risks, which is why I decided that my new mission was to find a DIY Toilet Bomb recipe that was safe for myself, my family, and my home. 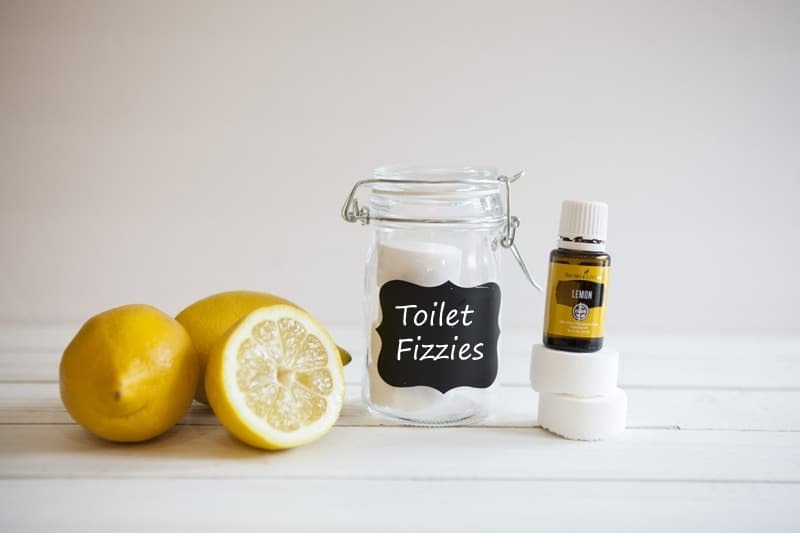 Much to my surprise, finding a super simple toilet fizzies recipe wasn't that hard at all. 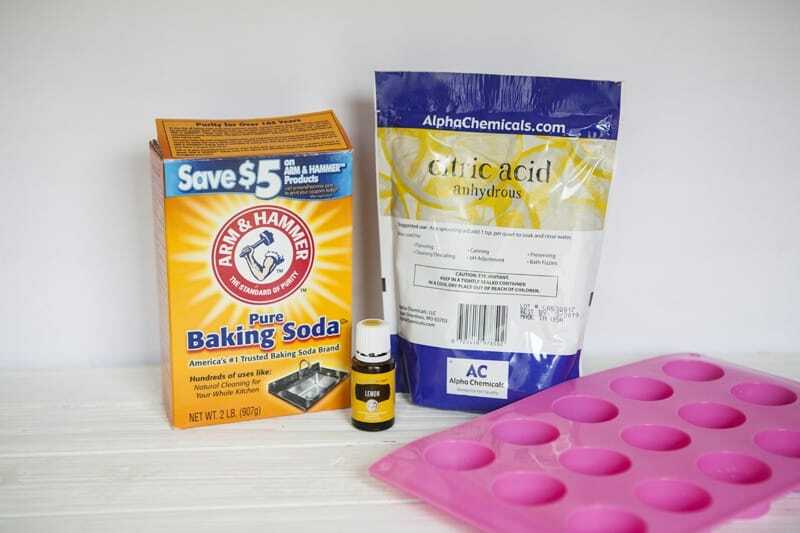 After all these years of cleaning with chemicals, I'm now able to clean with a homemade toilet bomb recipe made with citric acid that is safe and free of harsh chemicals! Keep things clean without harsh chemicals. Add all ingredients together in a bowl and mix thoroughly. Pack firmly into silicon molds and let dry for 12 hours. Once dry, pop out of molds. To use, simply drop one into the toilet. Once it's completely finished fizzing, scrub with toilet brush. Super simple, right? Would I steer you wrong? And the best part about this recipe? It has ingredients that are simple and effective. If you are looking for a way to make your toilet shine from cleanliness, this is the recipe for you. 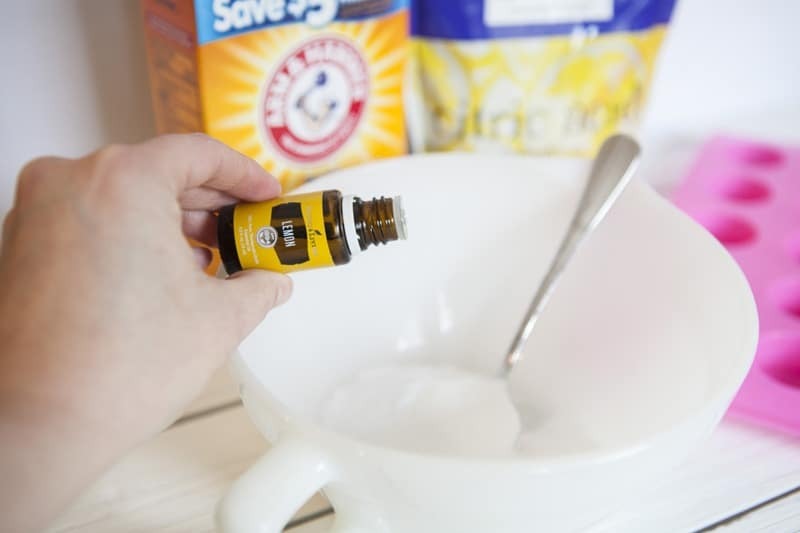 It's an excellent combination of ingredients that make an awesome cleaner. The choice between this recipe or trying to choose one that you may or may not trust completely from the cleaning aisle is clear. 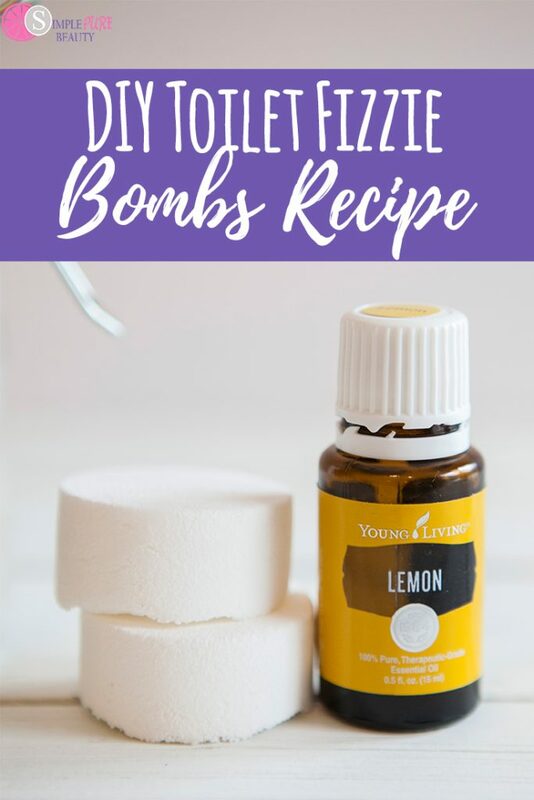 Say goodbye to use of harsh chemical cleaners and hello to a super simple DIY toilet fizzie bomb recipe. But seriously…this recipe is the bomb! What do you think – will these make it into your regular cleaning routine? I guarantee you'll love how they smell AND how they clean. « Can You Make Soap Without Lye? Hi! I’m trying to figure out the mold size. How many toilet fizzies do you get out of this recipe? Thank you! It makes 6-8, but it will also be dependent on the size of your mold. Hope that helps! Perfect! It does, thank you!